This is a beautiful moist butter cake with a rich vanilla and white chocolate flavour. 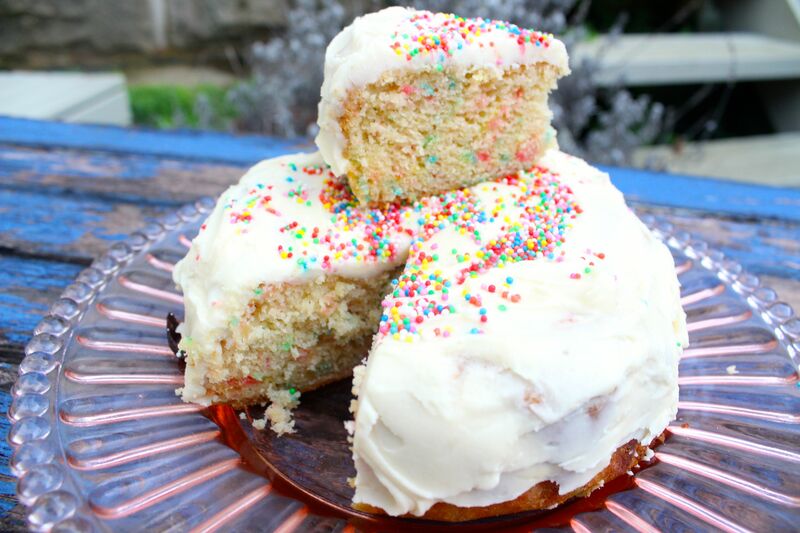 It is a colourful cake with hundreds and thousands baked into the mixture and sprinkled on top. Lots of butter cream icing flavoured with vanilla paste makes it really yummy! Preheat oven to 180 degrees C or 160 degrees C fan-forced. Grease and line a 22 cm round cake tin. Beat butter, extract and sugar in a food processor until light and fluffy. Beat in eggs one at a time. Stir in flour and milk in 2 batches. Stir in melted white chocolate. Gently mix in hundreds and thousands. Spread mixture into the tin. Bake about 1 hour, or until a skewer inserted into the centre of cake comes out clean. Stand in cake tin until cake is cool. Turn out onto wire rack. Cream butter with icing sugar, adding more icing sugar and the milk to make a smooth paste. Add vanilla paste. The main thing is to add as much icing sugar sugar as is necessary to reach the required icing consistency that will be thick enough to stay on the cake but not too stiff. 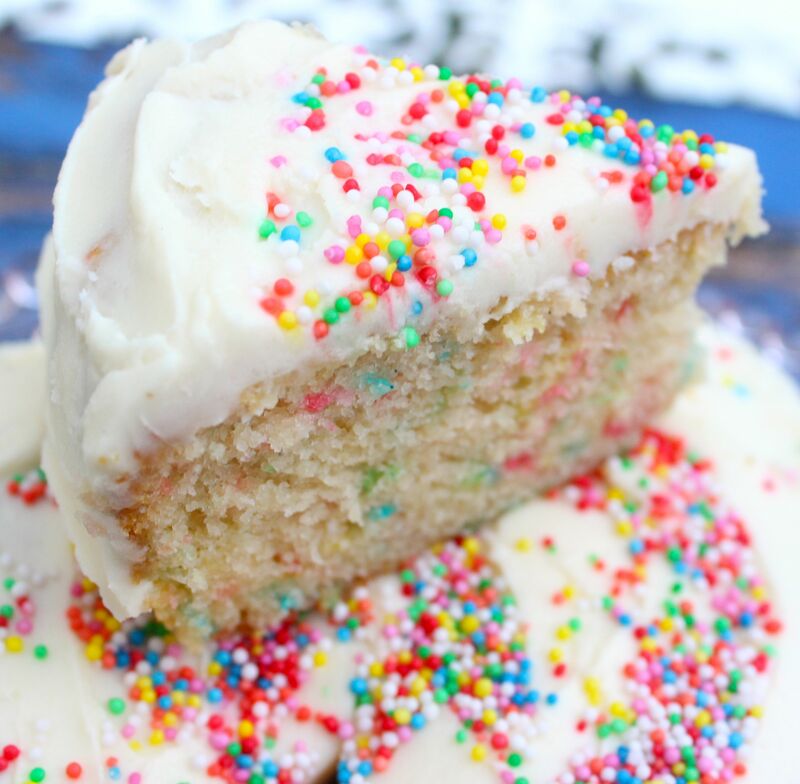 Ice the cake, top and sides, and scatter hundreds and thousands on top of the cake. Posted in Cakes, Sweet Food and tagged butter cake, hundreds and thousands, vanilla, white chocolate. Bookmark the permalink.